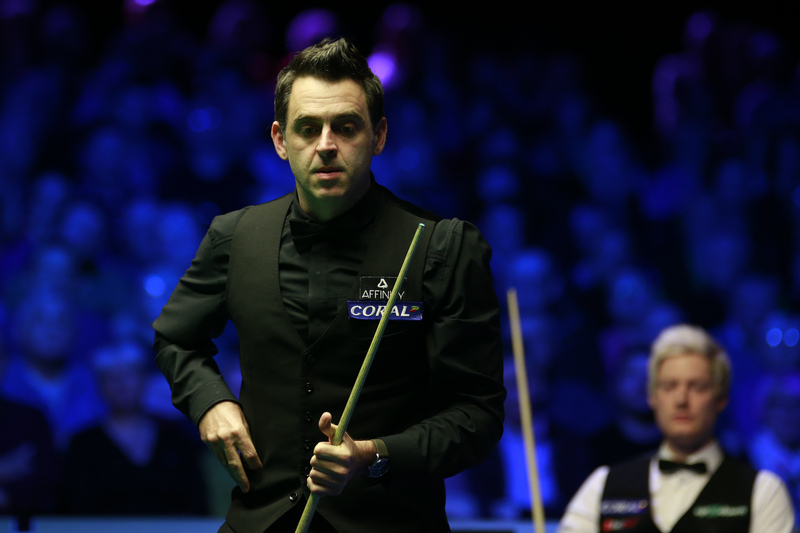 Ronnie O’Sullivan leads Neil Robertson 5-3 after the opening session of their Coral Tour Championship final in Llandudno. The pair are contesting their second consecutive Coral Series final. They faced each other at the Coral Players Championship in Preston, where O’Sullivan came out on top. Whoever claims victory tomorrow will take home the Coral Cup, which is awarded to whoever earns the most prize money across the three Coral Series events. The best of 25 encounter will be concluded over two sessions tomorrow, with the winner receiving a top prize of £150,000. If O’Sullivan can convert his advantage tomorrow, he will equal Stephen Hendry’s record of 36 ranking event wins. He would also overtake Mark Selby and move to world number one. While Robertson, who has 15 ranking titles to his name, can move clear of Selby in the all-time ranking event winners list with victory and move to sixth position alone. It was Robertson who made the fastest start this evening, claiming the opening two frames to secure an early 2-0 lead. O’Sullivan immediately responded with breaks of 74 and 97 to level things at the mid-session. When they came back out five-time World Champion O’Sullivan moved further ahead with runs of 71 and 67 to make it 5-2 with five frames in a row. However, a crucial run of 48 helped Robertson to take the final frame of the evening and stay in touch at 5-3. They will return tomorrow afternoon at 1pm.